HappyNest is a real estate micro-investing app that makes it easy to invest your spare change in commercial real estate properties with a low $10 minimum and no fees for account balances under $5,000. You can use HappyNest to invest in commercial real estate that is leased to strong tenants, so that you can earn income on a regular basis. There are no platform fees, no broker commissions, and no monthly user fees on account balances under $5,000 (only $1 per month for all other accounts on balances over $5,000). Any U.S. citizen over 18 years old with just $10, a smartphone, and a bank account can invest in the HappyNest fully-automated platform. Plus, when you sign up for early access to HappyNest, you will earn a $10 credit when you open a HappyNest account after their official launch. If you are interested in commercial real estate investing, and you want to cut out the middlemen and avoid the high fees, join the HappyNest real estate micro-investing app to invest any amount of money that you can afford into commercial real estate properties. Please note that the fine print at the bottom of the HappyNest website indicates that their offering will initially be available only to qualified investors in NY, NJ, and CT, but their FAQs indicate that it will be available to everybody in the U.S.A., so if you want to give it a try and get your $10 credit eventually, you should sign up during this early access promotion. Just visit the HappyNest website and click the “Sign Up” button or “Get Early Access” button to sign up for early access to HappyNest. 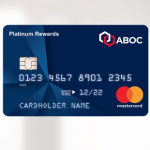 You just need to enter your full name and email address in order to sign up for notifications and receive access to your $10 credit when you join. 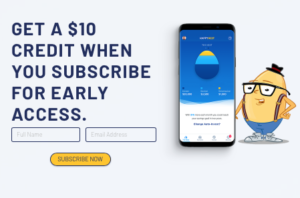 After you sign up, you will immediately receive an email confirming that a $10 credit will be granted when you open a HappyNest account after their launch. 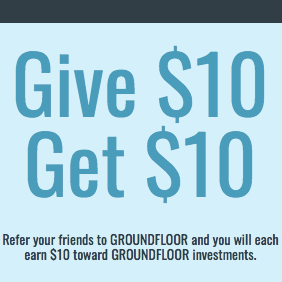 Once HappyNest officially launches, you must open an account in order to receive your $10 credit. You should see the HappyNest $10 free credit promotional offer displayed on their website when you join, so make sure that it is still displaying in order to ensure that it is still available. HappyInvest allows you to access commercial real estate investing with spare change and recurring investments. You’ll get paid rent by successful business tenants in major real estate markets. HappyNest costs $0 per month for accounts under $5,000, and they take a flat fee of $1 per month for accounts of $5,000 or more. There is a low $10 minimum investment requirement to get started with HappyInvest. Active duty military and veterans pay $0 per month regardless of account value. You can request a withdrawal at any time up to 90 days following your initial deposit date. After that, your full initial investment and earned interest can be returned after 5 years. HappyNest investments are intended to be long-term, but the REIT will look for opportunities to create liquidity to HappyInvest investors every 5 years of operation. You can close your HappyNest account and request to withdraw all of your funds at any time. Sign up for early access to HappyNest to get a $10 free credit once you open your HappyNest account during their official launch. If you are interested in real estate investing, you may also wish to try this LendingHome $500 Bonus or this RealyInvest $5 Free Credit for more real estate investment opportunities.